Stoney Stanton is famous for being the location of the UK’s national diving centre at Stoney Cove, but less than a mile away, in the attractive village of Sapcote, purchasers are taking a different kind of plunge – into the housing market with Leicestershire developer Jelson Homes. Here, Jelson’s Ferncote development, Off Stanton Road, offers a selection of properties, including two- and three-bedroom home designs, as well as the rare opportunity to purchase a two-bedroom detached bungalow. For a village with a population of around 3,000, there’s a lot going on in the area. For the adventurous there is the scuba diving centre, but others might find a visit to the local farm park more in keeping with less strenuous leisure activities. And, of course, there’s always the traditional village pub! With Leicestershire planning 96,580 new homes between now and 2031 as part of its strategic growth plan, locations such as Sapcote, lying less than 12 miles south west of Leicester (source: Google maps) and conveniently positioned just off the M69 and not far from the M1, are increasingly being targeted by families searching for their dream home. Available for occupation in July, the Goldcrest home at £244,950 boasts a spacious lounge, good-sized kitchen with top-of-the-range integrated appliances and a downstairs cloakroom; upstairs, buyers will find three bedrooms (master with en suite) and a family bathroom with shower over the bath. There is also a garage with this property. The stunning three-bedroom Nuthatch at £264,950 offers space in abundance for families wishing to spread out. Inside, there’s a large lounge, kitchen/diner and downstairs cloakroom, with three good-sized rooms upstairs and a family bathroom. There is also a garage with this property. Finally, the beautifully-appointed two-bedroom bungalow, the Gatcombe at £229,950, has recently come to market and offers the ultimate in effortless single-storey living. With well-appointed bedrooms, a family bathroom and a spacious lounge/diner with high-specification open-plan kitchen, those choosing to downsize couldn’t do much better.  As with all Jelson Homes, buyers will find they offer true value for money. The properties are all built the traditional way, with solid internal walls, and feature energy-efficient heating and double glazing. All homes here also include carpets and floor coverings and select kitchen appliances – while all detached homes come with a garage. 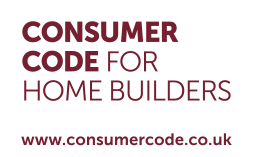 Ferncote is also eligible for the government’s Help to Buy* scheme for first- and next-time buyers, meaning that a home can be purchased at Ferncote with just a five-per-cent deposit.